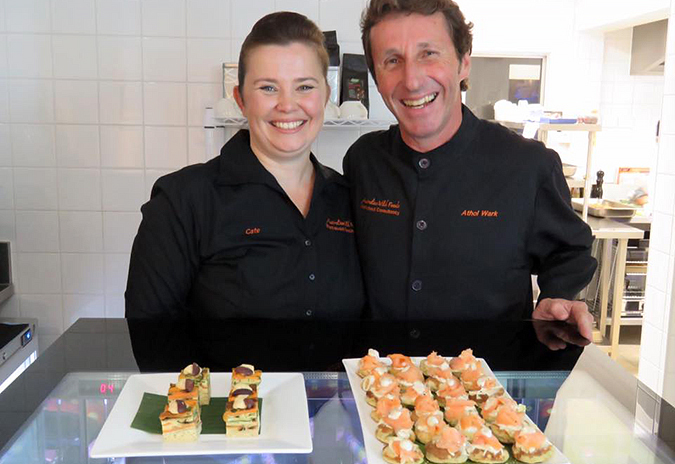 In early May the new Yaye’s Café at the Araluen Cultural Precinct officially opened to the public. The café has been a great hit with award winning executive chef Athol Wark and Cate Povey from Warkabout Consulting as the new operators. The success of Yaye’s Café has attracted an increased number of visitors to the Precinct which has led the Arts Centre to extend its weekend operating hours. The Araluen Arts Centre is now open seven days a week (including public holidays) from 10am until 4pm, which will be welcome news to art enthusiasts. Yaye’s Café is located between the Araluen Arts Centre and Central Craft and is open from 9am weekdays and 8am on weekends. Visitors are encouraged to enjoy a coffee or a meal at the new Yaye’s Café and enjoy the stunning Clifford Possum mural in the courtyard.